I got quoted $585 to recore my original radiator. Ouch. 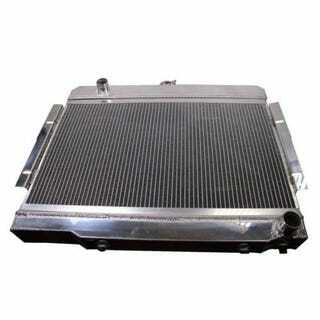 But, it appears a Jeep CJ-5/7 small block Chevy swap radiator is a near direct fit. $145 for a 3 row radiator... It's gonna look goofy, but it should function quite nicely. I may paint the tanks black to tone down the bling. Stay tuned to see if this actually works out.